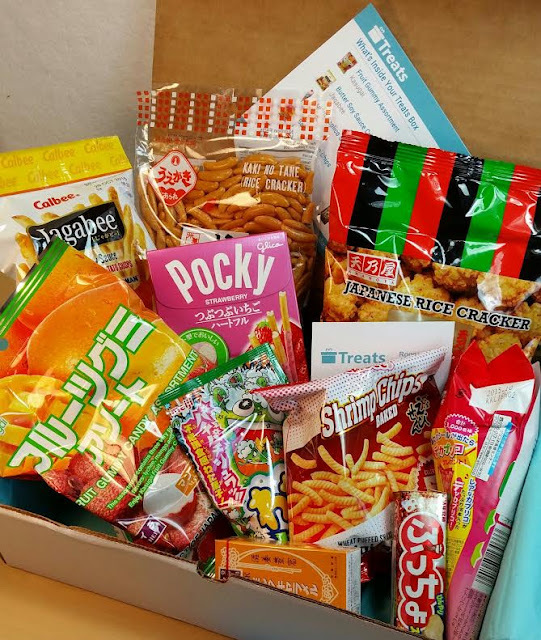 Treats Box is a brand new international snack box based in the US. The August 2015 selection is fantastic and I'm already impressed by the snack sizes included. This box will send you treats from all over the world. You can receive anything from strange flavors of familiar treats to treats you've never heard of or seen before. 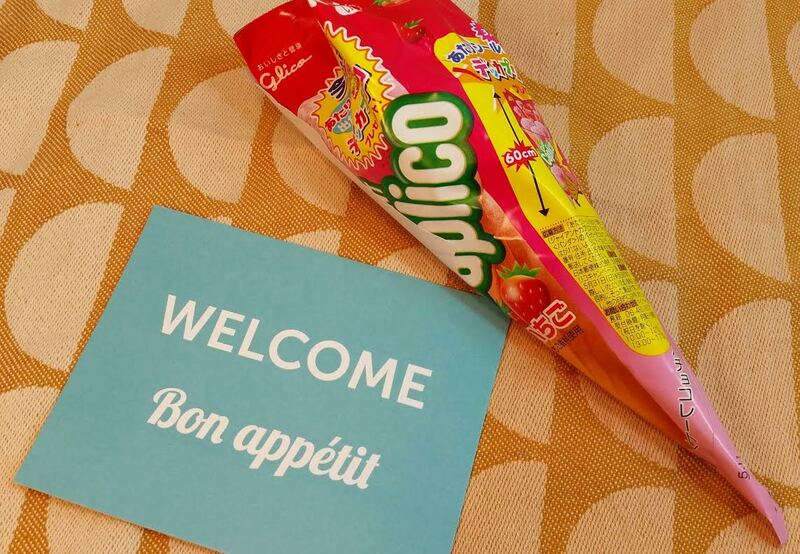 What You Get: Either 4-5 or 8-10 fun treats and snacks from around the world. 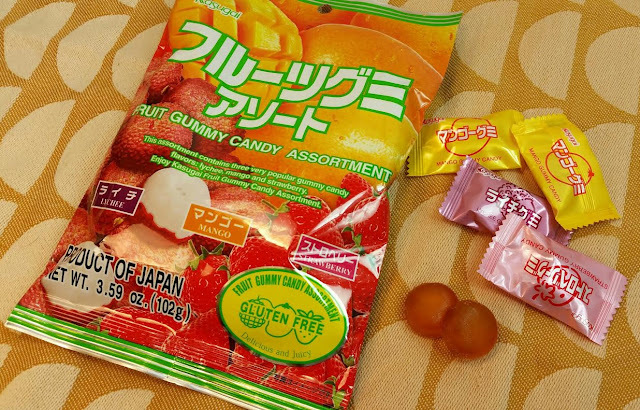 Kasugai Fruit Gummy Assortment- This is a big package of individually wrapped sweets. The gummies are very tasty and come in Strawberry, Lychee and Mango. My favorite is the Strawberry. 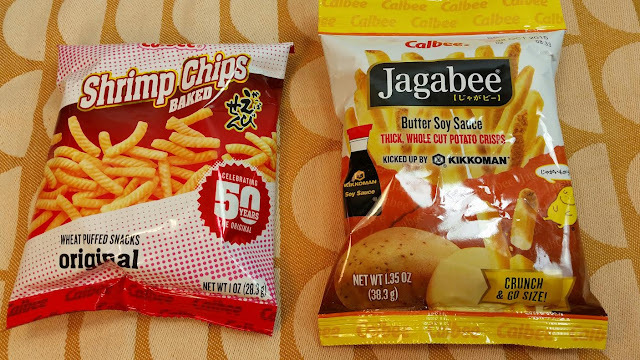 Jagabee Butter Soy Crisps- These look just like french fries and taste... not bad but mainly like salty butter. They were strangely addicting. Glico Giant Caplico Strawberry- This is like an ice cream cone with a mousse-like strawberry substance as the ice cream. Unfortunately, this melted and didn't have it's form anymore. It's not my favorite texture to begin with but it tasted fine. 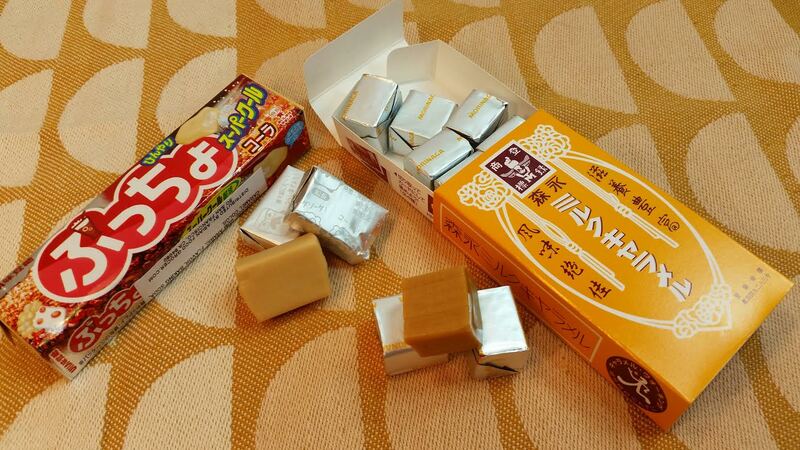 Uha Puccho in Cola- I really like cola-flavored Japanese candies. These were a little weird consistency-wise but I still ate them. I like Puccho. Morinaga Milk Caramel- These are really good caramel flavored chewy candies. I like them a lot, too. This box had so many things I ended up loving in it! 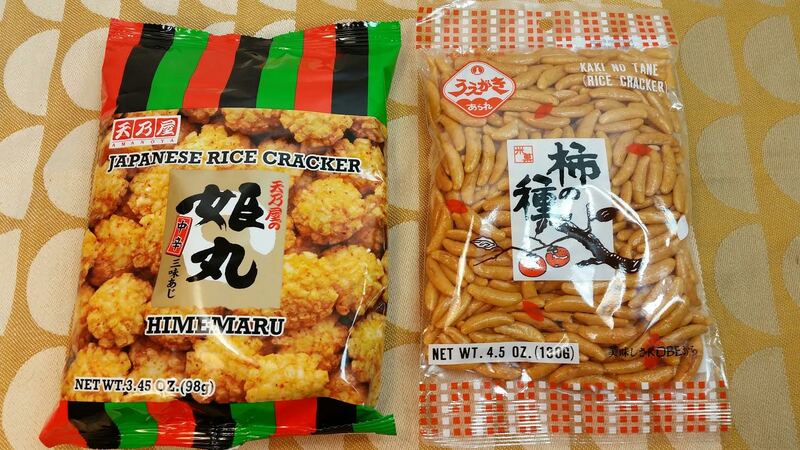 Amanoya Himemaru Japanese Rice Crackers- I ended up loving these! They were so good. "Were" being the key word there. I'm glad it was such a big bag because I didn't mind sharing. They have sort of a puffy, cheeto sort of texture I liked a lot. VERDICT: Treats Box has a truly excellent combination of both savory and sweet flavors in this box. I love that! This is the Explorer box and it had ten items in it and I think it's absolutely worth the price paid for it. I can't say that for all snack boxes either. But these were large bags of treats that will last quite awhile (or will if you don't leave them out where a pack of guys can get to them). I'm very impressed with this box and I'm excited to see how future boxes turn out. 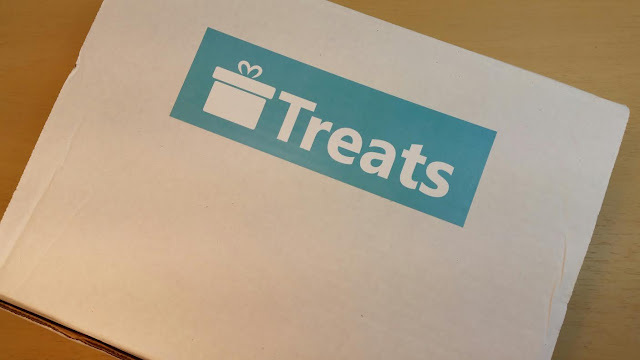 If you'd like to sign up for Treats Box, you can do that here on their website, www.trytreats.com. Use code BITBOX15 to get 15% off your order! *This box was sent to me for review purposes. All opinions are tastily my own. Referral link was used in this post. Ooh happy belated birthday!! This would have totally made my day too. Especially that melon soda one...it looks so interesting and weird and I LOVE weird candy. If you'd like more of that crescent-shaped mochi crunch let me know...they're all over the place here! Have you ever tried the orange spicy one? OMG I DIE!! THANK YOU!! I totally just bought a bunch! You are amazing! Looking forward to a new foreign snack box ( I already have 3) LOL. 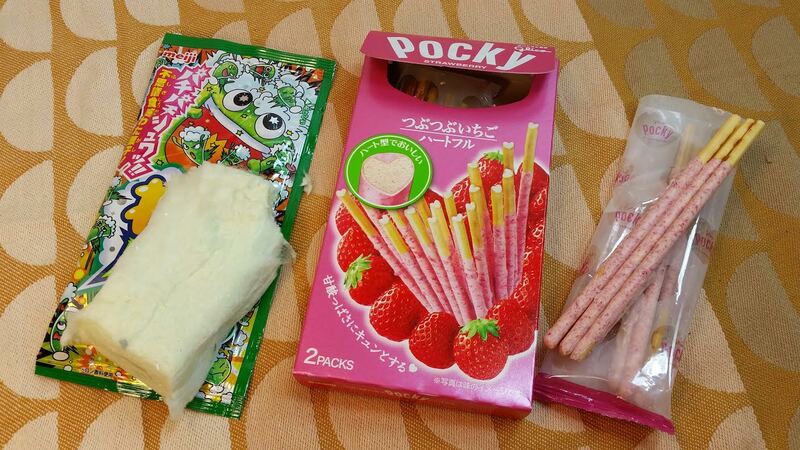 You're in foreign snack heaven with three subscriptions! You'll have to let me know what you think of this Treats box. I was impressed with the sizes. I think only Universal Snacks has sent so many large bags before. I like them, too. I think my Family sized Munch Pak will always be the best foreign sub I get.. BUT, sometimes, I get funky stuff from them with NO type of product card or anything. Sometimes, it's a taste adventure just to open a Munch Pak, and well, munch. Ha. I've also gotten many fruit candies that are individually wrapped and in their large ( very large) bag. With the family pack size of Munch Pak, you get all kinds of large cakes and pastries too.